Greetings and Welcome to ABE Publishing! This page is dedicated to helping writers getting their material out to the public. Check out our titles. Take a look at The Last Poet the blog accompanying this page. We want to encourage you to use your pen and voice to give your perspective on the world. You view is unique. Share it with the world. 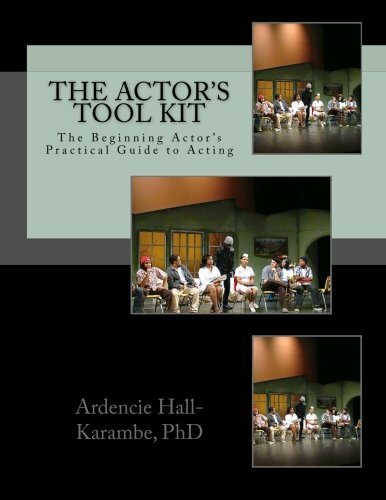 The Actor’s Tool Kit: The Beginning Actor’s Practical Guide to Acting is a beginning acting textbook that can be used in class or individually. It highlights the KIP System of training for beginning and intermediate acting students. Ardencie Hall-Karambe, PhD. formulated the KIP System to expose students to some of the theoretical ideas behind the art of acting and theatre; especially, students who have little or no experience on stage or with live theatre. KIP stands for the kinetic, influential, and psycho-dynamic training stages that student actors go through to prepare for roles. Students learn tangible ways to think about and to improve upon their craft. Not Your Grandmother’s Table converts traditional recipes into vegan and vegetarian dishes that retain the flavor! That’s the idea behind this cookbook. There is a world of spices and herbs out there to experiment with as well as new ingredient options for preparing old favorites. We began to explore the idea of how to convert traditional recipes into healthier, vegetarian, and/or vegan options that still had full flavor so that we could enjoy the food we love without too much guilt. We also want to show how a simple substitution or conversion of ingredients can change a dishes’ healthiness quality, while still retaining the comfort element.